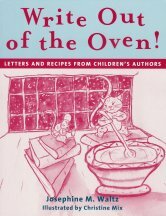 Write Out of the Oven! Available via Amazon, Barnes and Noble, and easy to order through your favorite Book Store. Chicken Soup for the Child’s Soul, Character-Building Stories to Read with Kids Ages 5-8, May 2007.